Pretty Purplexing: being Kind or being Creepy? What would you do if a stranger asked you to join them for a meal? Would you say yes? Or would you be bold enough to ask someone to join you? Do you agree that some acts of kindness 15 or 20 years ago could now be considered taboo? A couple of generations ago a 'random act of kindness' was just what you did. You complimented people in the street, you helped strangers who needed it, you did nice things for your friends and you were basically just a kind person. It's a shame that today's society turns a good deeds into something that makes you feel uneasy and afraid. It is a sad reflection on society that people think "What does he/she want in return from me?". Where am I going with this?? When the boys were young (yes, around 15 years ago) I took them to Friendly's restaurant for lunch. There was an elderly man in line behind us. We got to chatting while we were waiting for the hostess. He was very nice and reminded me of my grandfather. I asked him if someone was joining him for lunch and he said no, he was eating alone. I asked if he would like to join us. He said yes! We talked about his children, my children, my husband, his wife (who had passed away that year). He told me many happy stories from his life that have stayed with me over the years. When the check came, this generous man paid for our entire meal. I told him that was not why I invited him to join us and insisted he did not have to pay for us but he said: "Not only are you a wonderful mother to these boys, but a wonderful woman for making an old man feel special." It's not every day a stranger will ask you to sit down and join them for a meal. Nor is it every day that a stranger will say yes. 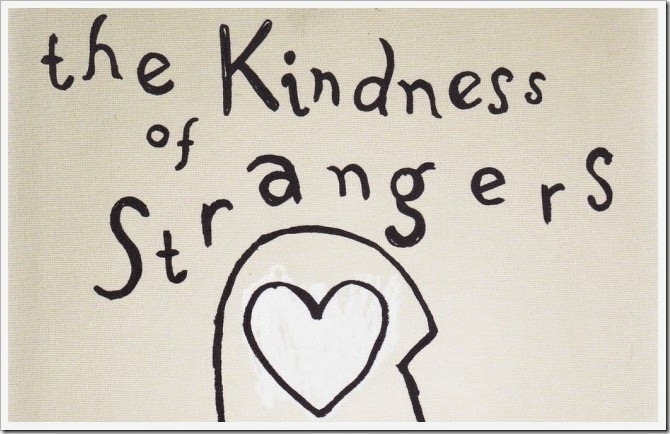 I challenge you: Go do a random act of kindness! Tami...what a wonderful story! Goes to show that a little kindness goes a long way! aahhh - that is the best story. Whenever I see older people eating in restaurants alone, it breaks my heart. I need to reach out & ask them to join us. Love this story you brought a tear to my eye! What kindness you have probably made a huge difference in that mans day! LOVE this story. You rock! In Germany, people often sit at the same table as strangers. I've met a lot of interesting people that way. That's a great act of kindness you did. It really does feel good to have a memory of doing something out the goodness of your heart. When I walk around the paths in our neighborhood I try to say hi and smile to people passing by. Most of them reply back. It was encouraging a few weeks ago when a young man apparently walking home for school, looked up and gave me a very happy hello. He will never know it but his nice reply made me feel very good. One thing that would help improve this situation would be for all of us to slow down and notice the people around us more. I am one of those folks who smile and say hello too. My grandparents raised me right. =) It does feel good when someone replies. Have a wonderful weekend!